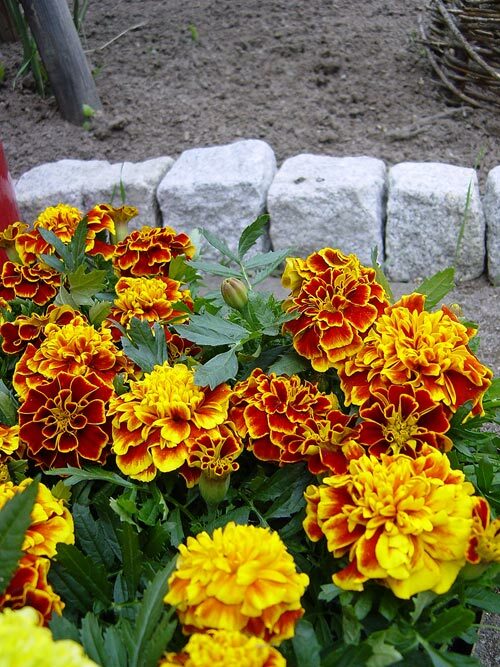 Growing marigolds – not too complicated procedure. Depending on the various climatic conditions and soil characteristics of seeds of marigolds can be sown directly into open ground or to grow seedlings. 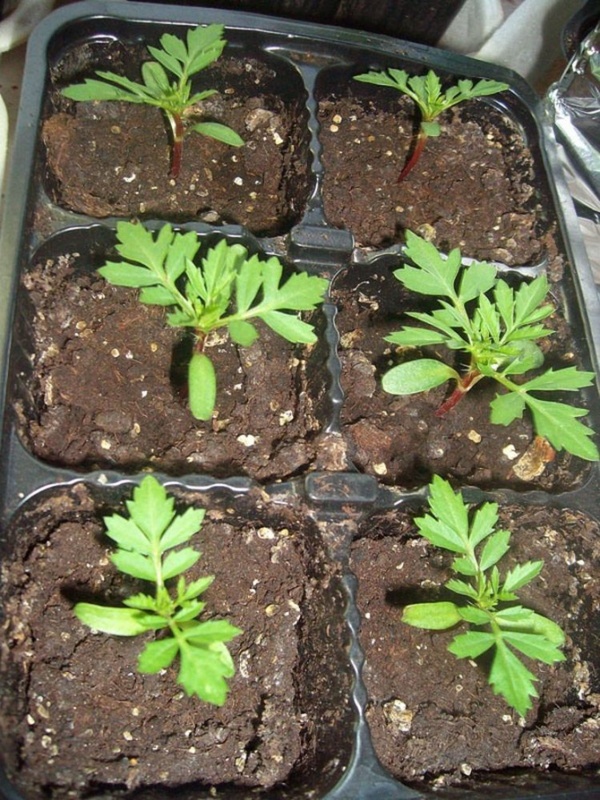 But many growers prefer cultivation of marigolds from seedlings. To grow seedlings of marigolds in the room on the windowsill in the sun or warmed the balcony. Sowing seeds is carried out in March-April depending on the species of marigolds. 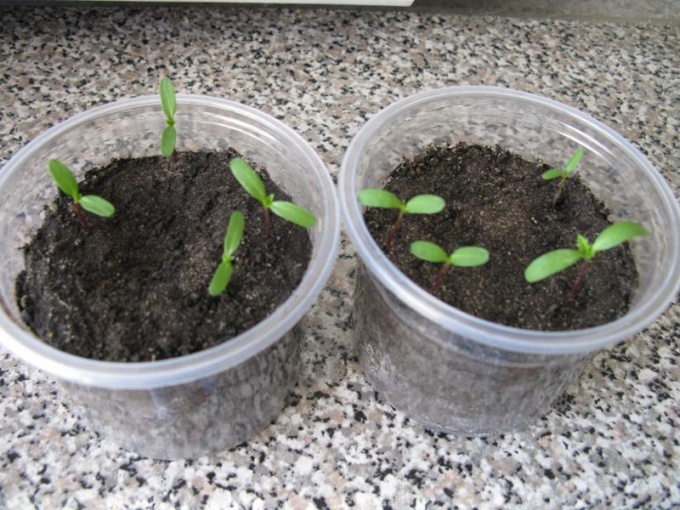 For growing seedlings you can use the boxes that best prepare 1-2 days before sowing. To the seedlings of marigolds grew strong, you need to start be sure to prepare the soil. On the bottom of the box put a thick layer of paper or Newspapers. Must be a drainage layer of about 2-3 cm, made of expanded clay or coarse sand (can be gravel). The boxes, which will be your seedlings needs to be holes for water drainage. The soil where the marigolds are sown should be loose, fertile and fertile. Its membership should include: humus, soil, peat and river (sea) sand. The prepared soil can be watered with a weak solution of potassium permanganate to prevent development of fungal infection. At the time of seeding, the land should be moist, but not wet. The temperature should be smooth and to be 18-22 degrees. The seeds are planted in furrows at a depth of 1 cm and 1.5 cm apart, making the indent from the top edge of the box. If you want to sow the seeds of several varieties, separate line, rail or matches the grooves from each other and each wisata the right sort. Grooves you can mark, putting the culture, variety and date of sowing. The seeds are then sprinkle a layer of soil not more than 0.5 cm in height, pour, cover with paper film and leave in a warm place. Seeds need watering 1-2 times a day, as the drying of the soil. Seedlings should emerge in 3-5 days. Immediately after that you can remove the tape (paper) and boxes to move into the light. Also you can plant the germinated seeds. To do this, take a damp cloth, put on her seeds, then put in a plastic bag and put in a warm place for 3 days. And then the swollen seeds to plant in the ground.